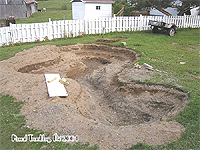 In summer 2004, I had the idea to dig a small garden pond located to east of the country house. 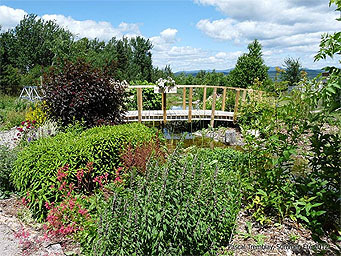 The water garden is on a plateau, just before a small slope. 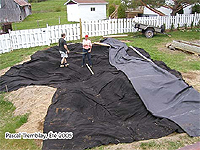 (9 m x 5.7 m), the pond has a maximum 28" depth (2' 4" or 70 cm).